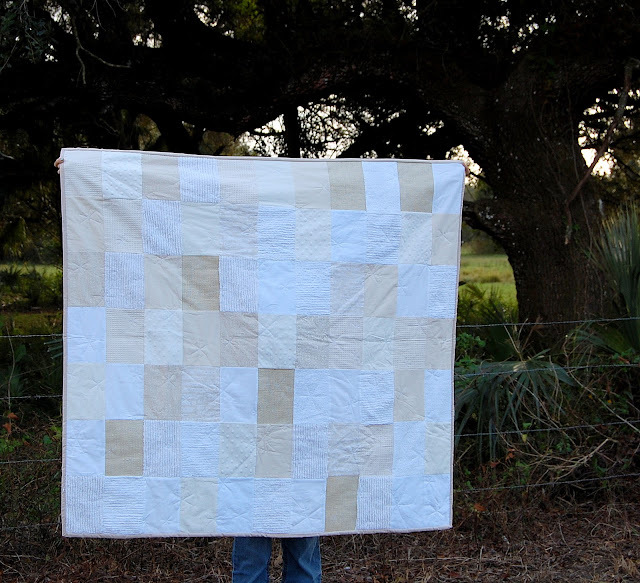 This quilt uses mostly whites. 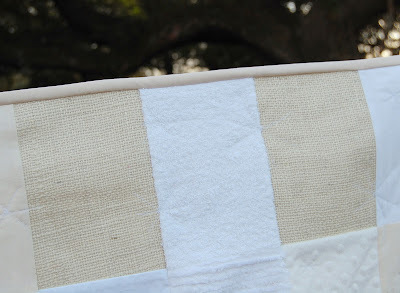 In addition to terry, sheeting, and chenille (in two tones, one is tea dyed) I added soft minky-like white fabric. This quilt also uses burlap, a waffle weave cream, and a few other light creams with interesting textures and subtle patterns. 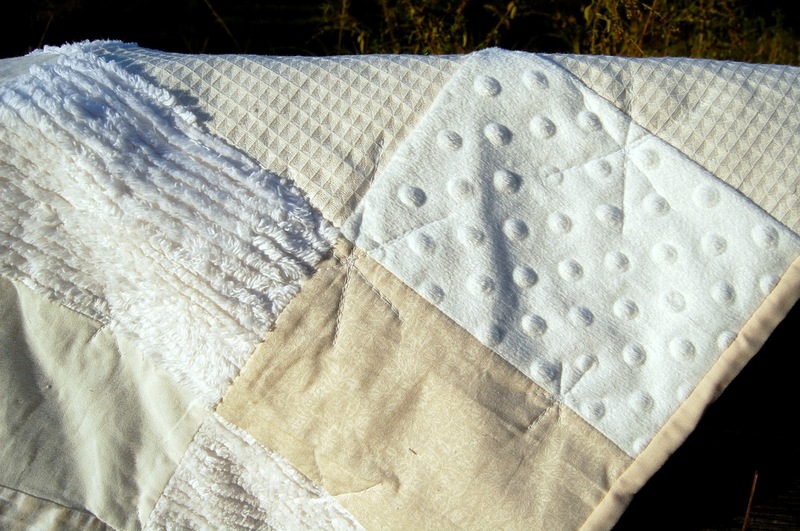 The quilting on this one is also done with simple random stars, this time in white thread. Yes, there's a tiny hint of the holiday season in there ... I can't help it, I love Christmastime. More than Christmas though, this one reminds me of a dream. 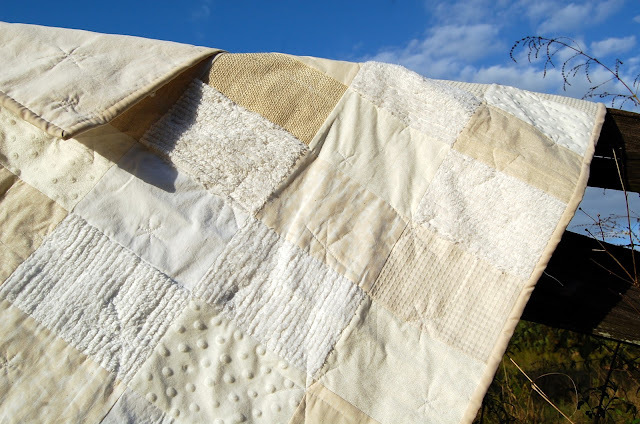 The backing fabric is a tea dyed cotton.